Apologies for Tim Cook Apple maps in iOS 6.0 still in the spotlight. The second step by the company, after admitting his mistake, has been to change the official website with information on their maps. 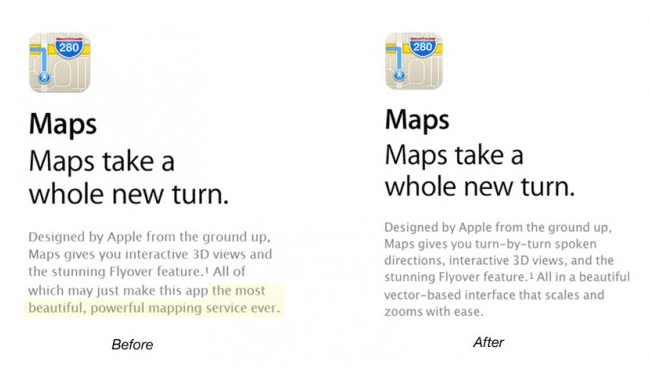 Until a few hours ago, Apple page could read that iOS 6.0 maps "were the most powerful tool of maps ever seen." 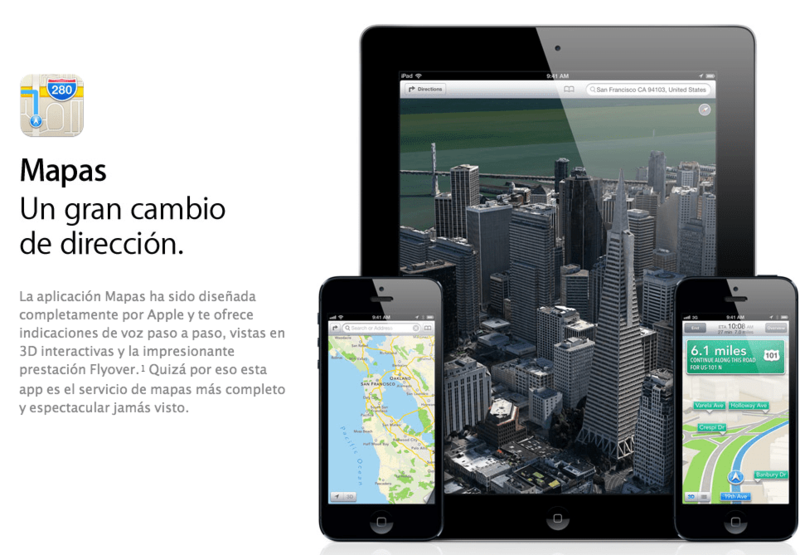 Article The Maps application is no longer "the most complete and spectacular" on the Apple website was originally published in News iPhone .